Explore cheese in its many glorious varieties - the science, the smells, the succulence! The grandest fromages, the finest Feta, the most delicious Manchego: celebrate the glorious variety, quality and pleasure of great cheeses from around the world. 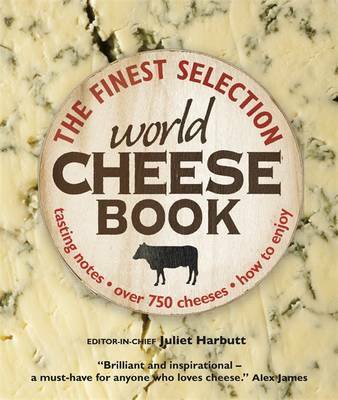 You'll find detailed profiles of over 800 cheeses from France to Australia. Develop an in-depth understanding of different cheese - from its provenance, to the producers, science, smells, and how to savour each taste. Plus, discover what to buy, where and how to serve it. No cheese lover should be without it!